KNOXVILLE, Tenn. — No. 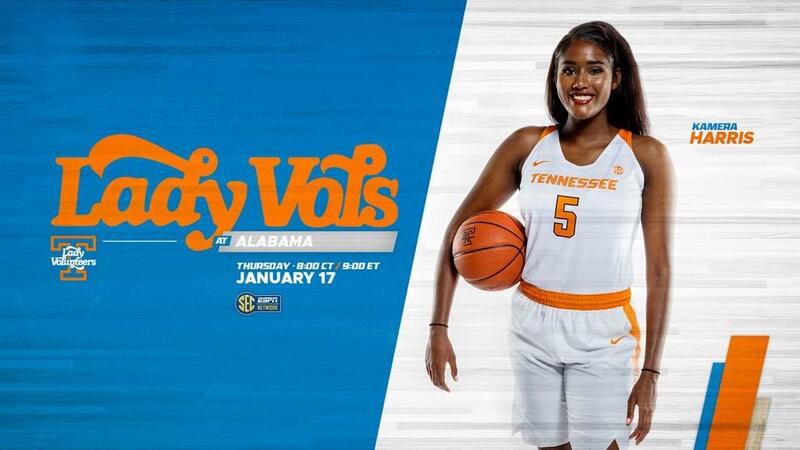 20/17 Tennessee (12-4, 1-3 SEC) plays its second straight road contest, as the Lady Vols head to Tuscaloosa to take on Alabama (9-8, 1-3 SEC) on Thursday night. 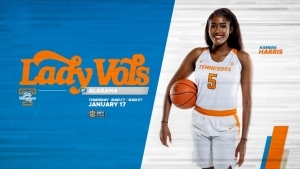 Tip-off is slated for 8:02 p.m. CT (9:02 ET) at Coleman Coliseum, with the game being carried by the SEC Network and the Lady Vol Radio Network. This marks the 46th meeting between these programs, with Alabama holding a four-game winning streak over the Lady Vols and taking the past two games in Tuscaloosa. In addition to attempting to halt that series streak, the Lady Vols will be seeking to end a three-game losing skid that began on Jan. 6. UT has lost its last three contests to Missouri (66-64), Kentucky (73-71) and Georgia (66-62) by a combined total of eight points. The Crimson Tide enters Thursday night’s match-up with a losing streak of its own, dropping its last three contests and four of its past five. One of those losses, though, was a three-point setback on the road at (then) No. 23 South Carolina, 62-59, illustrating the ability of the Tide to play well against ranked opponents. Alabama is struggling to score in SEC play, averaging 58.0 ppg., including 43 in its loss at Texas A&M on Sunday. After scoring 80+ in its last five non-conference games, Tennessee tallied 78 on the road vs. Auburn before failing to score more than 71 the past three outings, including 64 vs. Missouri and a season-low 62 at Georgia. UT’s scoring difficulties coincide with field goal percentages of 34.9, 37.9 and 35.9 as well as free throw percentages of 66.7, 58.6 and 59.1 the past three contests. UT also went from averaging 8.5 threes per game over the previous six outings to 3.7 during the past three contests. Pam Ward (play-by-play) and Carolyn Peck (analyst) will describe the action for the SEC Network. Mickey Dearstone is handling the call for IMG College/Lady Vol Network radio/online broadcasts for the 20th season. A link to the live audio stream can be found on each game’s Hoops Central page or the Lady Vol schedule on UTSports.com. Air time for games on the Lady Vol Radio Network generally occurs 30 minutes prior to tip-off. For UT home games, the Lady Vol Network has a low-power transmitter that makes the game available on the radio at 99.3 FM. The Lady Vols hold a 49-6 all-time record vs. Alabama, dating back to Jan. 22, 1977, but the Crimson Tide is riding a four-game win streak in the series with Tennessee. UT failed to reach 65 points in any of those losses and didn’t hit 58 in either of the two recent games in Tuscaloosa. Against the Tide, the Lady Vols are 18-2 in Tuscaloosa, 22-1 in games played in Knoxville and 9-3 at neutral sites, with UA taking the last two match-ups on its courts. There has never been an overtime game in the series. UT is 16-1 vs. Alabama in Coleman Coliseum, losing for the first time there on Feb. 16, 2017, 65-57. From 2011-16, Crimson Tide women’s basketball played in Foster Auditorium, where UT was 2-1, including a 54-46 loss on Feb. 25, 2016. That loss in 2016 ended a 42-game UT win streak. Prior to that victory, the last Alabama win was on March 3, 1984, at the SEC Tournament in Athens, Ga., by a score of 85-66. The other came at the 1981 SEC Tournament, as the Tide knocked off #10-ranked Tennessee, 77-71, on Jan. 30. Third-year Tennessee assistant coach and recruiting coordinator Sharrona Reaves played at Alabama (1995 graduate) for head coach Rick Moody. 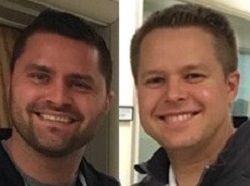 Alabama director of operations Brian Johnson is a 2016 Tennessee graduate who served as a manager on Holly Warlick‘s staff for four seasons. GREEN MACHINE: A switch has been flipped, and Cheridene Green has turned into a rebounding machine over the past three games. She has posted totals of 14 (7 off./7 def.) vs. Missouri, 15 (8/7) vs. Kentucky and 10 (5/5) vs. Georgia to average 13.0 during that stretch and bump her season number to 7.1 through 16 games. MAKE THE FLASH LAST: UT has shown flashes of how good it can be, with the first quarter vs. Georgia serving as a perfect example. The Lady Vols hit 10 of 16 shots for 62.5 accuracy in jumping to a 22-10 lead. After a 14-14 second quarter, the third quarter was the opposite of the first, with UT hitting only 2 of 16 shots (12.5%) and losing the period’s scoring battle, 25-11. THREES ARE KEY: UT went six straight games where it hit at least seven three-point shots. The past three games, all losses, the Lady Vols have hit no more than four treys in a contest. AMONG BEST ON BOARDS: UT has won the rebounding battle in 14 of 16 games this season. The Lady Vols rank No. 7 nationally in rebounds per game (45.81), No. 7 in offensive rebounds per game (18.0), No. 9 in rebound margin (12.0) and No. 10 in total rebounds (733). LET’S GRAB 50: Tennessee has pulled down 50 or more rebounds in six contests this season, including the past two: 50 vs. Kentucky and 54 vs. Georgia. EVINA GOES FOR 20 AGAIN: Evina Westbrook has scored 20 or more points in half (8) of Tennessee’s games thus far, including 20 and 23 in her past two contests. GOTTA KNOCK ‘EM DOWN: UT is doing a great job getting to the free throw line (364 times/No. 11 NCAA/No. 2 SEC) and making them (242/No. 21 NCAA/No. 5 SEC). It just needs to make a higher percentage of shots at the charity stripe (66.5/No. 225 NCAA/No. 12 SEC). 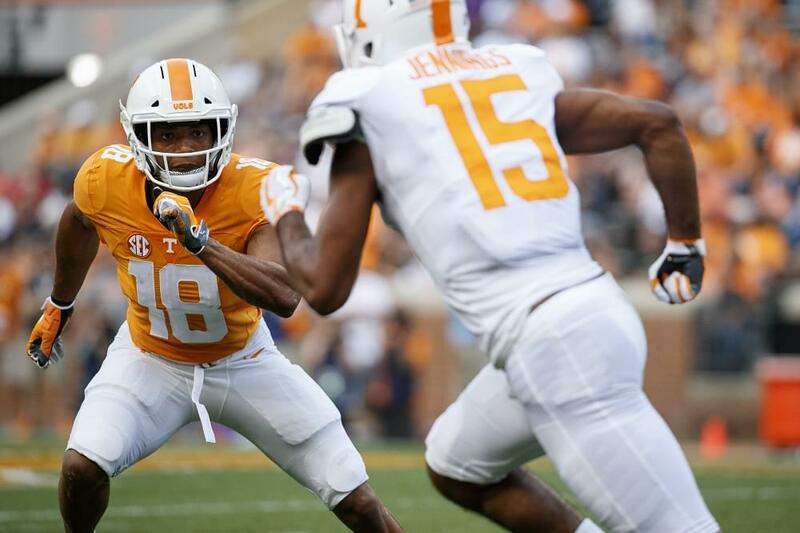 NEW GO-TO PLAYERS: UT’s go-to players are all in new roles and learning to adjust to defenses geared to inhibit them. Two sophomores lead the team in scoring (Westbrook, Davis) and freshmen (Green, Collins) are the fourth and sixth-highest scorers on the team thus far. Bodes well for the future. Sophomore point guard Evina Westbrook poured in 10 points in the fourth quarter, but it wasn’t enough to overcome a third-quarter UT shooting slump and Georgia’s second-half rally in a 66-62 Lady Vols setback at Stegeman Coliseum in Athens. There were five ties and 10 lead changes in a contest of huge momentum swings. Westbrook led Tennessee (12-4, 1-3 SEC) in scoring with a game-high 23 points, logging her eighth 20+ point performance of the season. Rennia Davis had six points and 12 rebounds, while Cheridene also added six points and 10 rebounds. Caliya Robinson was Georgia’s (12-5, 3-1 SEC) high scorer with 16. Gabby Connally had 13, while Taja Cole and Jenna Staiti each had 12. The Crimson Tide returned two starters and seven letterwinners from a year ago, including point guard Jordan Lewis and guard Shaquera Wade. Lewis, however, suffered a broken wrist vs. Virginia on Dec. 20 and is out for the year. She was averaging 13.5 ppg. 4.0 rpg. and 3.1 apg. in eight games. Jasmine Walker, a 6-3 junior forward and 5-10 junior guard have picked up the scoring slack, averaging 13.9 and 13.5 points, respectively, for Bama. UA is shooting .389 from the field, .312 on threes and .696 on free throws, and averages 67.5 ppg. while surrendering 65.4 (58.0-66.2 in SEC games). Alabama finished 20-14 overall and 7-9 in league play in 2017-18, good for eighth in the SEC. The Tide won two games in the WNIT before falling at Virginia Tech, 74-67. UA picked up its first ever win in Knoxville, 72-63. Alabama lost to Texas A&M, 70-43, on Sunday afternoon at Reed Arena in College Station, Texas. Junior point guard Cierra Johnson led the Tide with eight points and six rebounds, as eight different players scored in the game for UA. Texas A&M jumped out to a 15-6 first quarter lead and never looked back. The Aggies held a 31-17 advantage at the halftime break and continued to lead in double figures the rest of the way. Jaime Nared had a game-high 22 points, but it wasn’t enough as No. 11 UT lost to Alabama, 72-63, on Feb. 15, 2018, at Thompson-Boling Arena. The Lady Vols (21-5, 9-4 SEC) came out on the losing end of a streaky game that saw leads exchanged on three different double-digit runs. Tennessee had the advantage in the paint, out-rebounding the Crimson Tide 45-39, but Alabama (16-10, 6-7 SEC) won the game behind a 42.6% field goal percentage to UT’s 35.3% effort. Tennessee had three players in double figures. Nared led the Lady Vols with 22 points, Rennia Davis scored 18, and Mercedes Russell added another 11. Both Davis and Russell notched double-doubles, with 10 and 11 rebounds, respectively. The Crimson Tide’s offense was paced by Jordan Lewis with 19 points and Ashley Williams with 16. Schaquilla Nunn recorded her first double-double of the season, but it wasn’t enough as Tennessee fell short against Alabama, 65-57, at Coleman Coliseum on Feb. 16, 2017. Nunn finished with 15 points and 15 rebounds to lead the Lady Vols (16-10, 7-6 SEC). Mercedes Russell (17) and Alexa Middleton (14) also cracked double digits. UT struggled with leading scorer Diamond DeShields knocked out by a first-quarter injury and Jaime Nared in early foul trouble. UT returns home for a Monday night “We Back Pat” contest at Thompson-Boling Arena vs. Arkansas. Tip is set for 7:02 p.m. ET on the SEC Network. Alabama, meanwhile, welcomes LSU to town for a 1 p.m. CT Sunday matinee on the SEC Network.